Xunta de Galicia continues to work on the Camino de Santiago with the celebration of the upcoming Holy Year 2021 in the spotlight. This was one of the topics discussed today between President Alberto Núñez Feijoo and the Minister of Education, Culture and Sport, who met Monday in Madrid on the occasion of a ministerial round. Both leaders have put on the table a plan of joint action between both institutions for the rehabilitation of Cultural Interest Assets of the different routes of the Camino de Santiago, with the aim of working hand in hand for the coming Holy Year 2021. 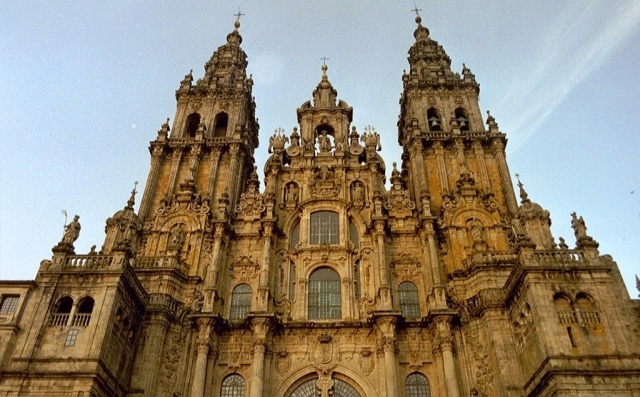 Feijóo left the meeting with the conviction that both sides will have "more contacts" and that "in the coming months the government's offer to rehabilitate the BIC along the Camino", without forgetting the rehabilitation of the Cathedral of Santiago. Of her the president of the Xunta has said that it has to finalize it so that it becomes "the best cathedral of any Holy Year". Regarding the election of the Assets of Cultural Interest that will be rehabilitated, Feijoo commented that what has been shared "is only an idea" and that now is the moment to materialize, although he has assured that the minister has agreed with The idea presented, commented that the project seems "appropriate" and that "the Camino is cultural heritage and we must put that heritage in value."